It was a busy Friday night in the NBA but it looks set to be an equally busy Saturday, so if you are keen to make the most of your weekend, basketball is going to be high on the agenda. The Hornets lost out in Washington with the Wizards winning by a score of 110-107 and the Clippers were away winners in Philadelphia, winning by a score of 98-119. The Hawks were strong at home, defeating the Heat by a score of 99-86 and the Raptors had enough in their locker to overcome the Lakers by a score of 83-94. The Rockets got the better of the Timberwolves in an epic match which finished 120-110 and the Spurs dealt with the Mavericks by a score of 94-76. The Suns defeated the Trail Blazers by a score of 81-87 and the Pistons grabbed a great 97-111 win in Orlando. The Celtics won in New York, defeating the Knicks by a score of 92-96 and the Nets won at home against the Cavs, with the Brooklyn side winning by 106-98. The Pelicans defeated the Kings by a score of 102-88 and the Grizzlies were downed at home by the Warriors, losing by a score of 84-107. The Nuggets managed to grab a strong home win, defeating the Jazz by a score of 107-91. The Hawks have already clinched the top seed in the Eastern Conference so it remains to be seen how much effort and determination they will have for the rest of the regular season. It is good to ensure that the players tick over and remain in full fitness but there may not be the same level of hunger and desire from the Atlanta players. This shouldn’t be the case for the Hornets who have a bit of work to do if they are going to stay in contention for the playoffs. The regular season has become essentially meaningless for the Atlanta Hawks. That’s far from true The Hawks hold a 55-17 record so far this season and this includes a road record of 24-12. They have won their last two games in a row, including a 99-86 win over Miami on Friday night. This win moved the Hawks onto a 6-4 record for their last ten games. The Hornets hold a 30-41 record this season and this includes a 16-19 record at home. The Charlotte team have lost their last three games and this includes a 110-107 loss away in Washington on Friday night. The ten game record for the Hornets looks quite poor, standing at 2-8. For average points scored, the Hawks lead 102.4 to 94.7 and for average points allowed, the Hawks just edge it 97.0 to 97.1. The Hawks are likely to be without Thabo Sefolosha and Mike Scott while Pero Antic and Jeff Teague have slight doubts. The Hornets could be without Cody Zeller and they have doubts over Al Jefferson, Michael Kidd-Gilchrist and Mo Williams. Taking the Hawks at -3, at odds of 1.90, should be a decent bet for Saturday. Bet Now! Klay Thompson has found his form and Stephen Curry has been in excellent shape in recent times, all of which means that the Warriors are looking good at the moment. If they win this game on Saturday, they will take the top seed spot in the Western Conference and they will also be the first team in the franchise history to hit the accolade of 60 wins in a campaign. The Warriors have a 59-13 record at the moment and this includes a 25-11 record on the road. The Warriors are on an 8 game winning streak and this includes a Friday night win in Memphis, triumphing by 84-107, leaving the side with a 9-1 record in their last 10 games. As for the Bucks, they have a 36-36 record this season, with a 21-14 record at home. They have managed to win their two most recent games, including a Thursday night win against the Pacers by a score of 111-107 and they have a 3-7 record in their last ten games. For average points scored, the Warriors lead 109.8 to 97.8 and for average points allowed, the Bucks have the edge, 97.5 to 98.9. Shaun Livingston and Andre Iguodala have slight knocks for the Warriors while OJ Mayo is a slight doubt for the Bucks, who expect to be without Jared Dudley. It is easy to see why taking the Warriors with a -5 handicap, at odds of 1.90, is a sound bet for Saturday. Bet Now! The Thunder are going to have to deal with the rest of this campaign without Kevin Durant as he is preparing himself for surgery to take care of a fracture in his right foot. Durant has barely been available for the Thunder this season but the recent form of Russell Westbrook has made sure that the pain of losing Durant has been minimised. There are not many teams that could handle the absence of the reigning MVP in the NBA in such a confident manner but it seems as though the Thunder have achieved this up until now. The Thunder are on a 41-31 record this season and this includes a road record of 14-22. They may have lost their last game, a 130-91 loss away to the Spurs on Wednesday night but they hold a 7-3 record in their last 10 games. The Jazz have a 31-41 record in their last 10 games and this includes a 17-19 record in Utah. They have managed to lose their last 4 games and this includes a Friday night loss in Denver, with the Nuggets winning by a score of 107-91. The Jazz have a 5-5 record in their last 10 games. For average points scored, the Thunder lead 103.4 to 94.7 and for average points allowed, the Jazz lead 95.1 to 101.0. Kevin Durant is the only expected absentee for either team. 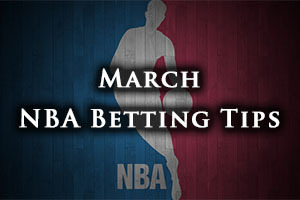 It is easy to see why taking the Oklahoma City Thunder with a -4.5 handicap, and odds of 1.90, is an attractive bet for Saturday. Bet Now!